Tuesday, 8:00pm, Insights and Inspirations on Sefer Tehillim led by Shelly Portnoy will be cancelled next week, but Tehillim will take place on Tuesday at 8:30 pm at the home of Debbie Taub. 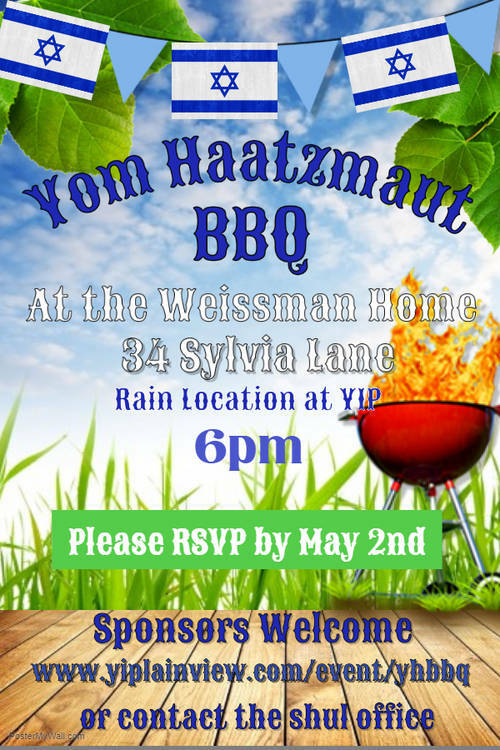 To add or update a name on the Tehillim list, please e-mail Ruth at rlorbert@gmail.com. 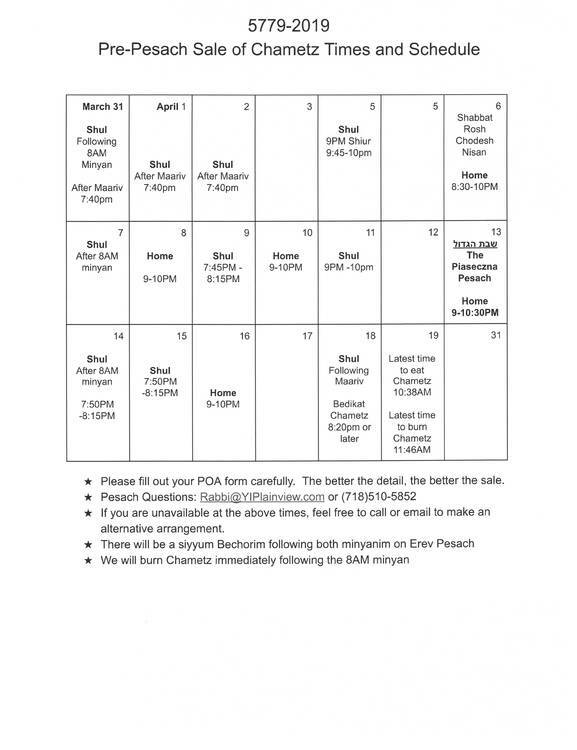 Please note that the time for Mincha has been revised so the time on the website, app and email will typically be 5 minutes later than the calendar. This is to shorten the wait between Mincha and Maariv. Mazel Tov to Judy and Harold Kriegsman on the birth of a grandson born to Jordana and Ari Schwartz. Mazal Tov as well to big sister Lizzy and to proud Uncle Matthew. The Bris will take place in Teaneck, N.J. on the second day of Pesach. Get to know our Rabbinic Intern! Moshe Kurtz and his wife Marisa would love to get to know the members of the community. They will be here on 5/11 and 5/25. If you would like to host them for lunch one weekend they are here, you can sign up by clicking here . The MALI Breakfast has been postponed - a new date will be announced soon. Please ensure that all checks are made payable to “Young Israel of Plainview, Inc.” and note purpose of the check. The Mid-Island Y JCC Is proud to announce...Project Replenish. With support from the local Jewish community, we are helping to alleviate hunger insecurity among our neighbors. The Jewish Communal Fund Food Pantry at the Mid-Island Y JCC provides seniors, individuals and families with essential food, toiletry and household items. 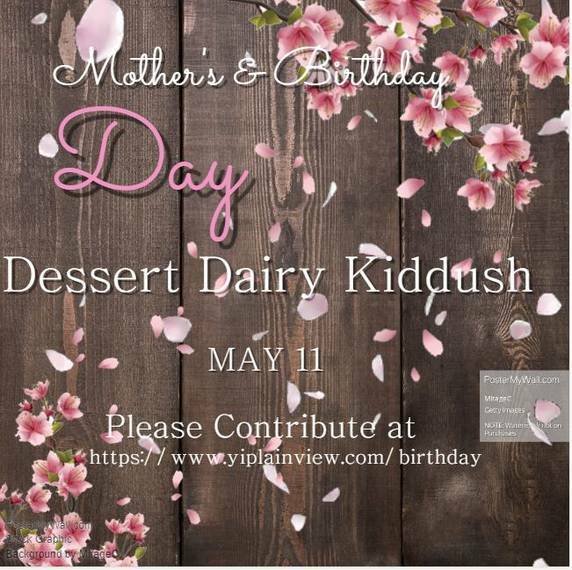 Donations will benefit the Mid-Island Y JCC’s Jewish Communal Fund Food Pantry & The Hatzilu Rescue Organization. The donation bin is located In the Rabbi’s office. No glass or expired food, please. to announcements@yiplainview.com no later than the Tuesday prior to the Shabbat on which you want the announcement to appear. 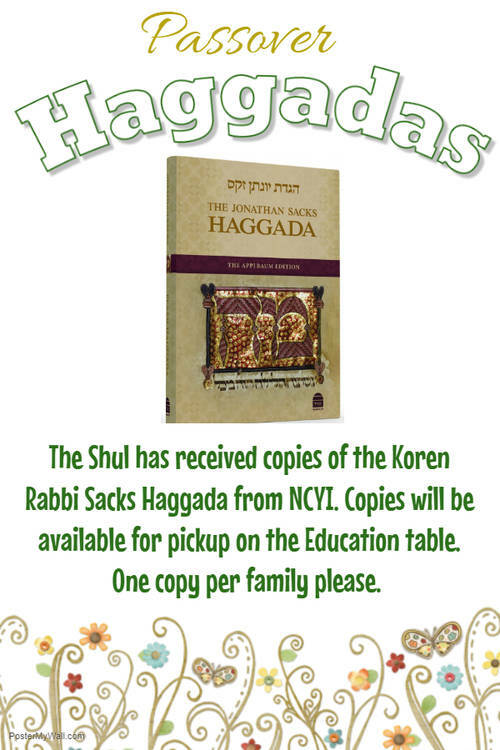 Community announcements will not ordinarily be made on Shabbat morning, but will be included in this e-mail. Get to know our Rabbinic Intern! Moshe Kurtz and his wife Marisa would love to get to know the members of the community. If you would like to host them for lunch while they are here, you can sign up by clicking here ​​​​​​​​​​​. They will be here on 4/26-27, 5/11, and 5/25.